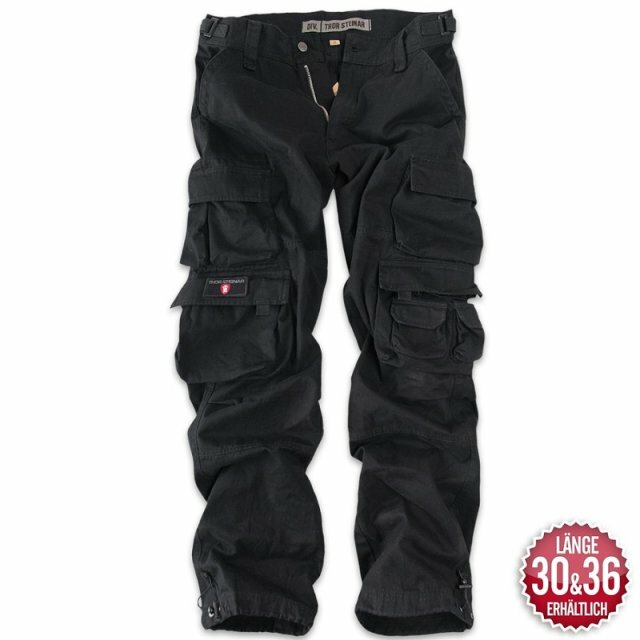 Our standard cargo pants with loose cut, in usual exceptional stable cotton quality and roughened soft surface. The waist is width adjustable via Velcro; the hem is reinforced with an additional layer of fabric and width adjustable as well. The double side pockets and both back pockets are closable via Velcro. Detachable Velcro patch with embroidery on the side pocket, woven label on the back.